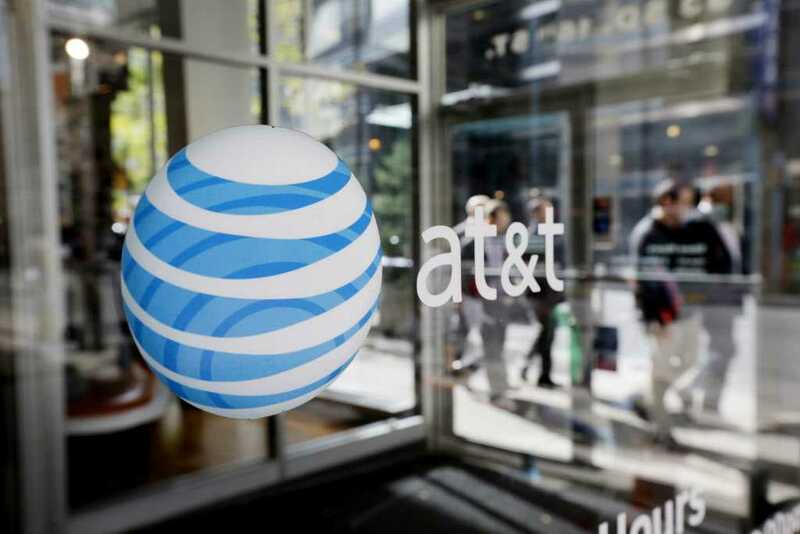 The Unlimited data plan war just got bigger with AT&T that announced two new plans to compete with Verizon’s announcement. Data consumption on smart devices had grown many fold in the past few years and the telecommunication sector is slowly catching up. When the initial AT&T announcement was made, the company didn’t do a good job because it lacked tethering and didn’t allow users to add additional lines without paying a premium. The newest announcement is quite different and should meet the requirements for both premium as well as budget conscious users. All you have to do is pay $90 to get the Unlimited Plus Plan. If you have already subscribed to the U-Verse TV or DirecTV, the company will give a discount of $25 on the monthly bill. The option expands to owners who are already subscribed to these services bringing the total cost to a pretty low $10 when the credit discount is applied. Subscribers can tether up to 10GB on their smartphone, add DirecTV to their services and add a tablet for an added cost of $20. The total cost is expected to be at $115 based on the credits and when you exhaust your 10GB data, the speed will go to a pretty low 128KBPS. 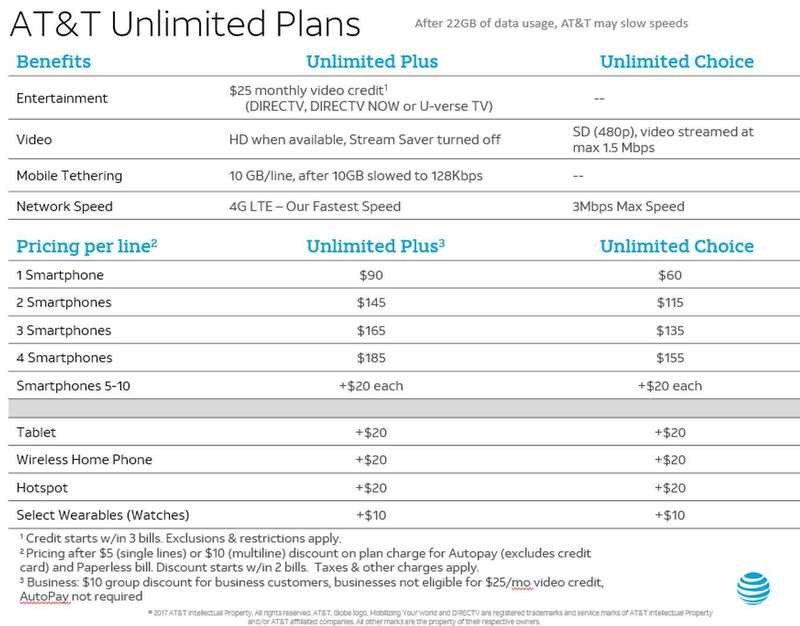 Next in the lineup is the Unlimited Choice which is all about those who don’t want to spend a fortune to get AT&T services or their premium video services. The basic plan for a single device is just $60 and offers unlimited data while four lines as a bundled package costs $155 making it the cheapest of the services. However, when you have unlimited data access you should compromise in terms of quality. The package supports speed up to 3MBPS which works good with web browsing and 480p videos but will never be sufficient to enjoy full HD videos or blazing fast load times. The second plans offers unlimited text, voice calls and data making it a sweet deal for those who don’t mind about the reduced speed but gets the job done at affordable rates. It’s already a better offer from AT&T when compared to T-Mobile and Sprint. The competitors are expected to soon join the unlimited plan bandwagon with customized plans of their own. It is going to be a heated competition but if they wouldn’t compromise on speed for a better internet experience, it would be a feasible option for their subscribers.